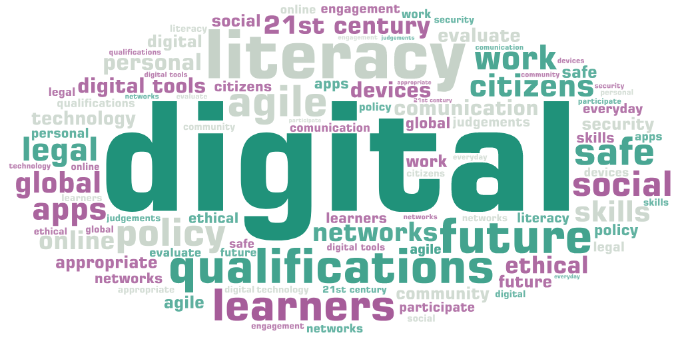 Digital literacy blog Digital literacy – collaborators wanted! The digital world changes rapidly and constantly. Specifically in digital literacy, it is challenging to keep qualifications up to date to meet the needs of learners now and for their future. We need to take cognisance of existing government policy and skills frameworks as well as the expectations of educational practitioners and employers. We are well into the 21st century and want all citizens to be confident using digital tools. They should benefit from processes made more agile by communication and network technologies across personal, social, community and working life. Digital literacy weaves technical skills with important decisions and considerations around what are safe, appropriate, legal and ethical behaviours when using technology. It is more than the skills needed to use devices and software apps – being digitally literate means learners will consider and evaluate why, when, who and for whom when engaging in tasks and activities. 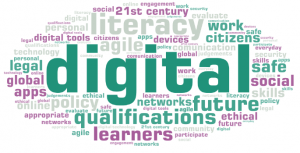 SQA is developing new standalone units in digital literacy (SCQF levels 2 – 6). Wherever possible, these units will also provide learners with the core skill of ICT. In addition, by evidencing understanding and ability to make judgements on aspects such as working securely online and engaging in meaningful participation through networks, they should provide good models of appropriate behaviours and practices in real life contexts, and positively affect personal, learning and working environments. To make these qualifications the best they can be and relevant to all across the educational community, we are looking for collaborators on this exciting development. We have an estimated delivery date of (units available by) August 2019. If you would like to work with us by contributing ideas, writing, vetting, validating or all of the above then please get in touch.